SafeRack elevates safety and productivity with safe, ergonomic fall protection in elevated work areas. 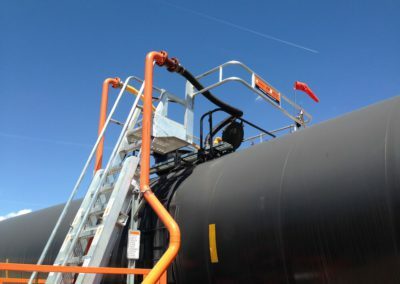 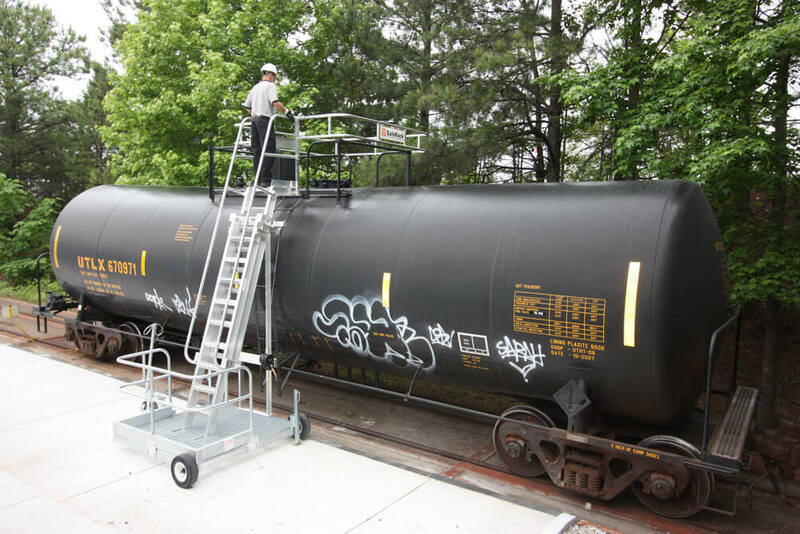 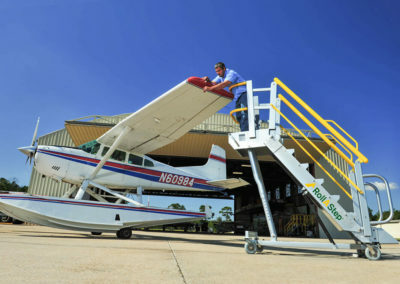 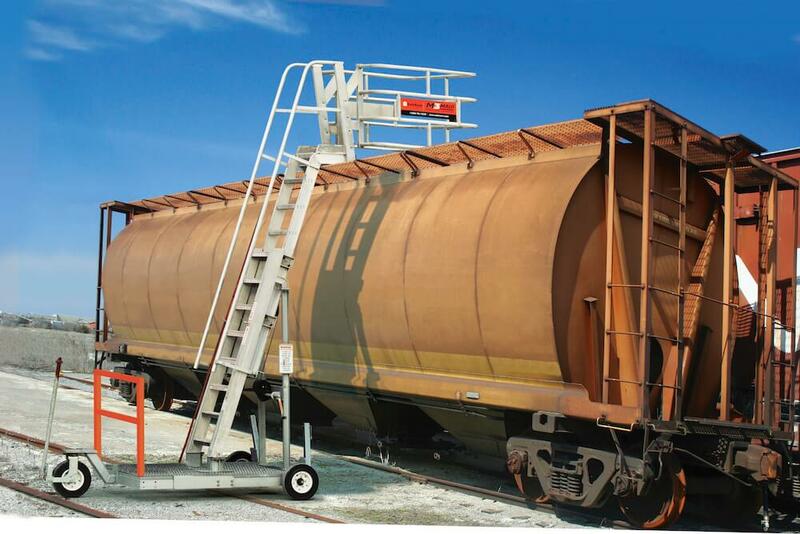 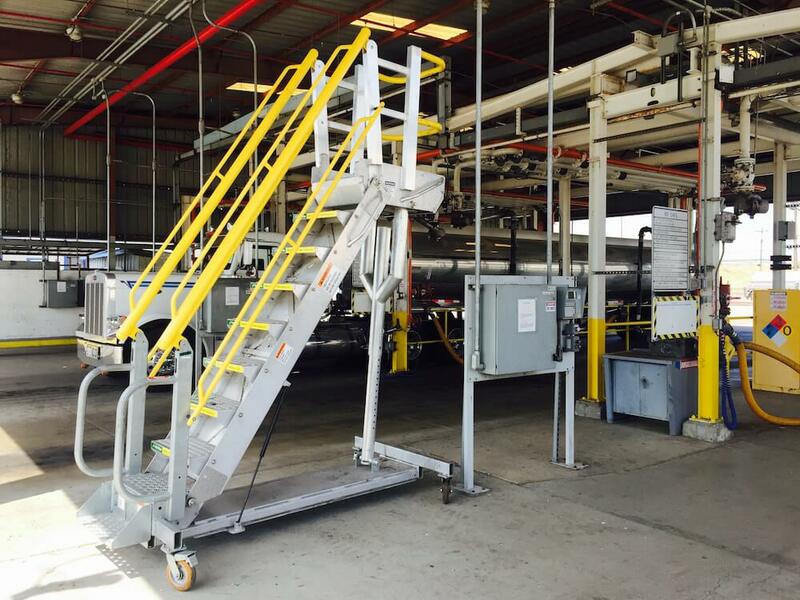 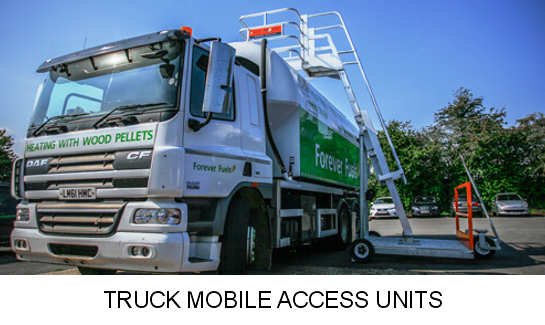 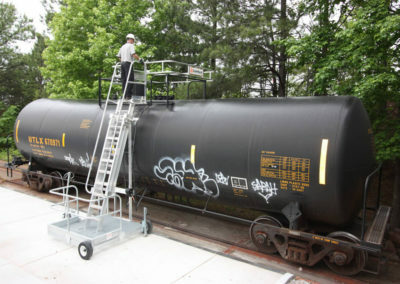 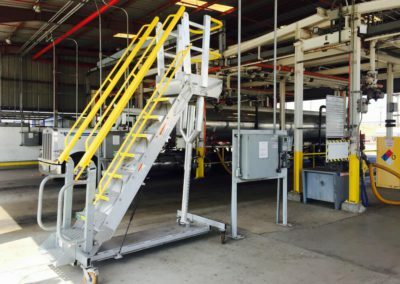 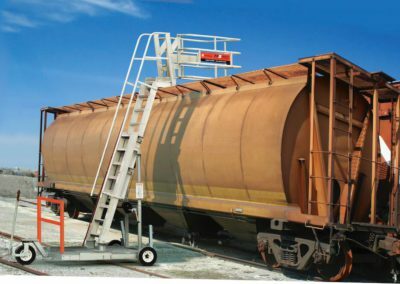 Our lightweight, easy-to-maneuver portable access stairs and platforms enable workers safe access to some of the most challenging elevated workspaces like tanker trucks and rail cars. 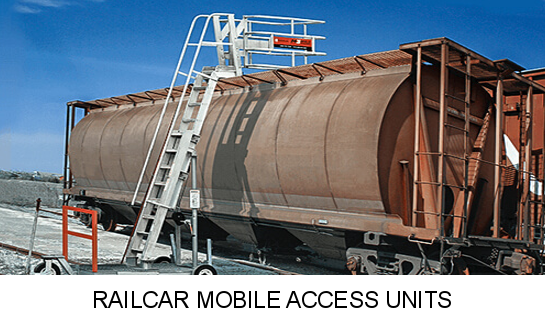 Features include a 500lb live load capacity, both perpendicular and parallel access configurations, a patent pending 4 rail safety cage and 5 ply rubber tires. 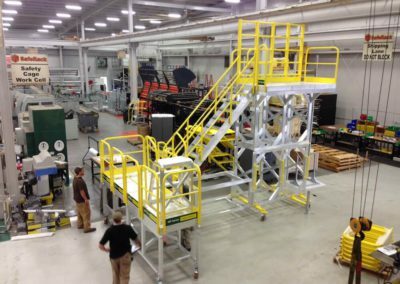 Meeting OSHA requirements. 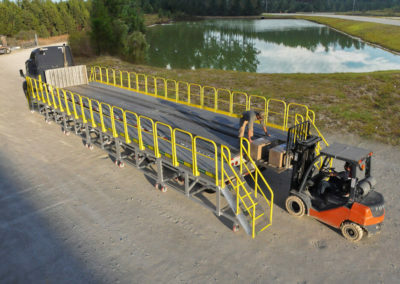 Usually In stock. 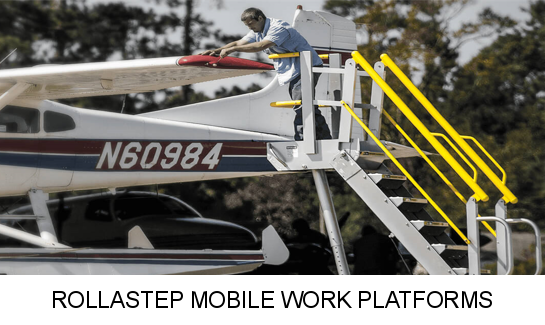 Features include a Wide Base and stairs, non slip and self draining tread, powder coated handrails, a 6sq ft work platform and a full toe platform to prevent tools from falling. 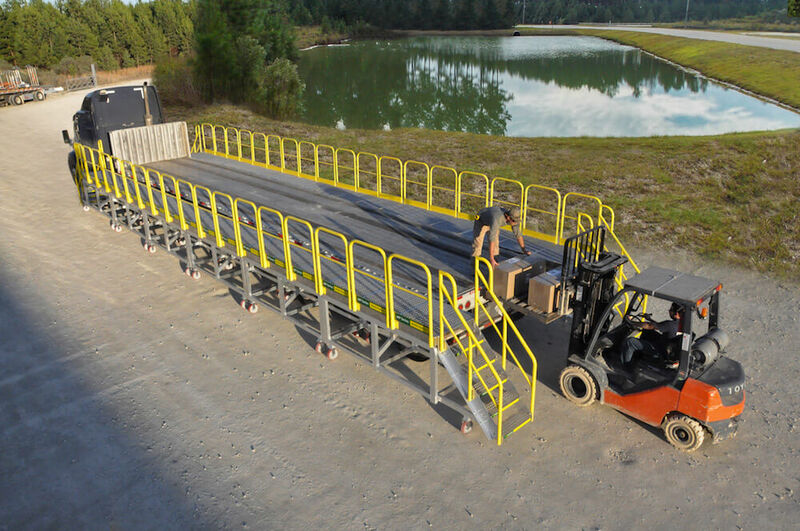 Is is lightweight and has 360 degree swivel wheels. 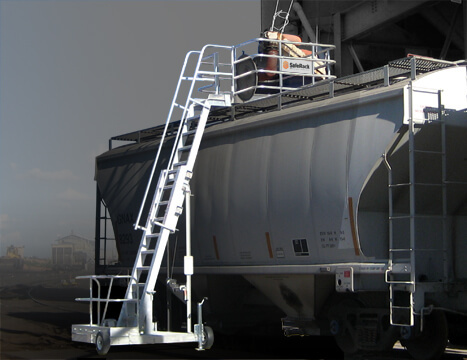 There are 4 base models to choose from , all in stock and ready to ship. 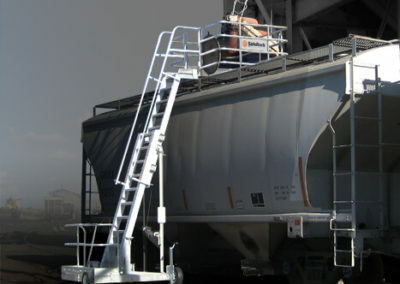 Custom solutions are also available.